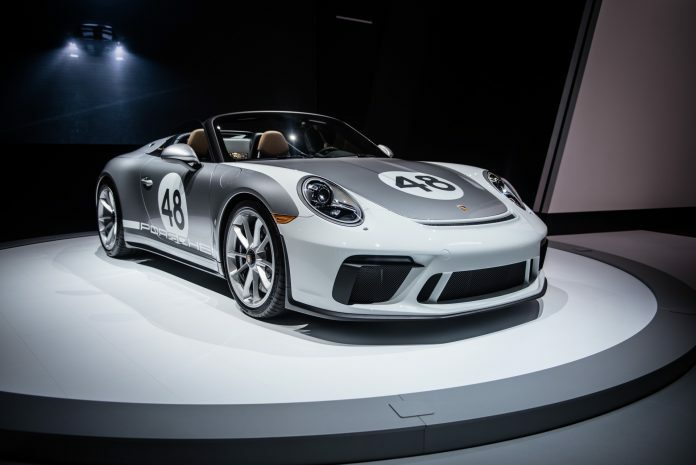 Porsche had been teasing us with Speedster concepts for a couple of years and took the opportunity to pull the wraps off the GT3 based 2019 911 Speedster at NYIAS 2019. The press conference confirmed the rumours that a GT3 engine would be used in contrast to previous Speedsters that utilised standard Carrera engines and not the GT engine we see here. In the standard GT3 there is 500 horsepower, the Speedster achieves 502 horsepower and 346 pound feet. 1948 units will be produced to celebrate 70 years of Porsche. 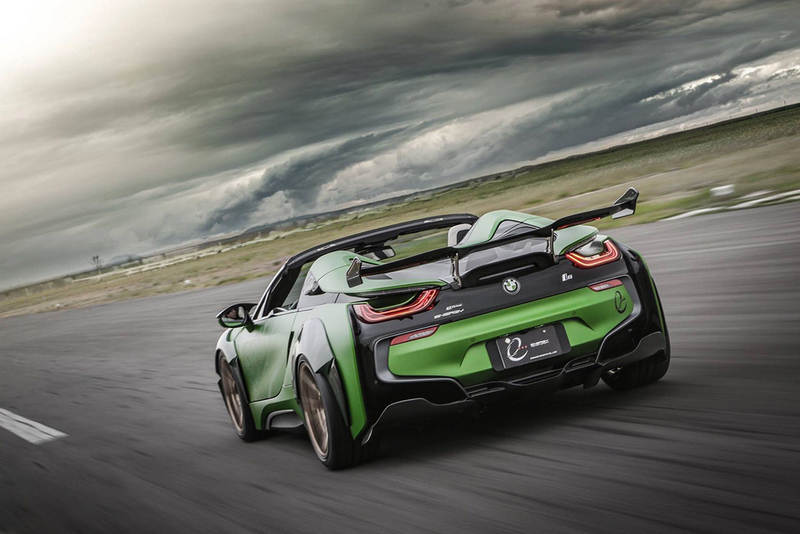 Promising some breathtaking performance figures like a 0-60 mph time of 1.85 seconds, 1,914hp and 2,300Nm of torque. Enough for a top speed of 412 km/h. Add a carbon-fibre monocoque with state of the art technology like all-wheel torque vectoring and a 650 km full electric range and you have one hell of a promising electric hypercar. 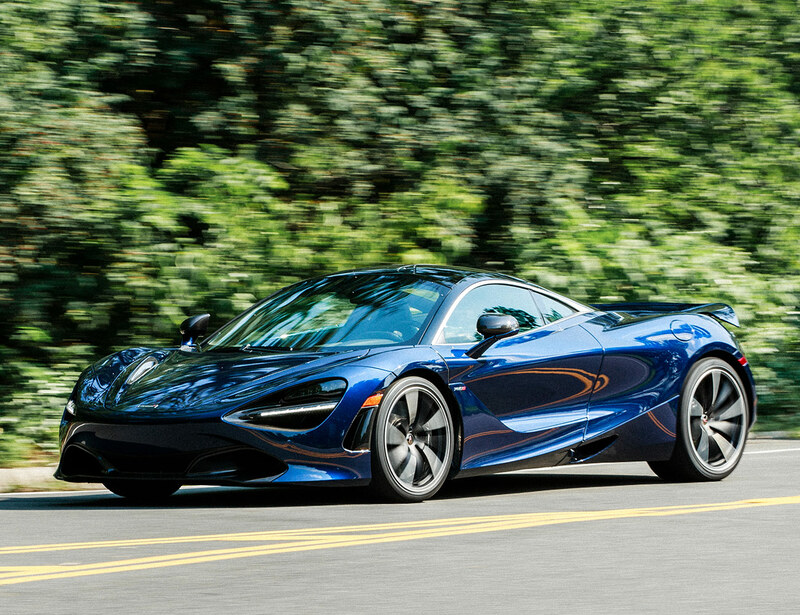 The electric hypercar did not look out of place surrounded by combustion engined hypercars. What we are looking at here is possibly the fastest road car in history and possibly the first to hit 300mph. It was a surprise seeing Jesko at NYIAS as the car has been seen in Hong Kong just 48 hours prior. The V8 produces 1,280 hp running on regular fuel with the flexfuel E85 option allowing 1,600 hp in some markets. Torque reaches 1,500 Nm at 5,100 rpm. The transmission is another unique design. It is a 9-speed multi-clutch unit that dispenses with traditional synch rings yet allows lightning fast changes between any gear. It weighs just 90 kg in total, lighter than a comparable dual clutch unit. 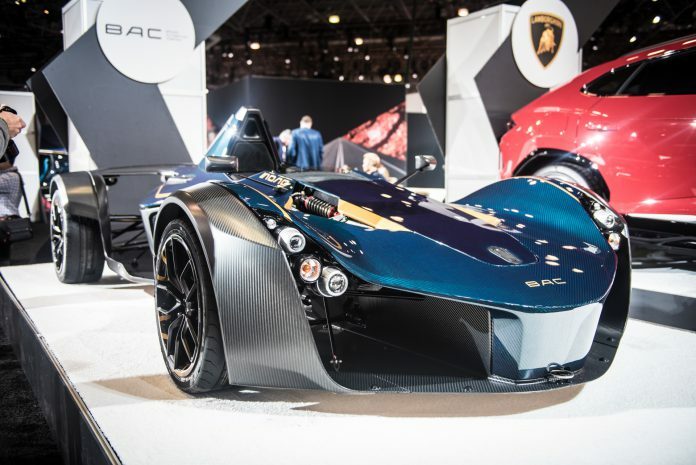 The BAC Mono is not a car that we have not seen before, however, this example looks stunning in its naked blue carbon with gold highlights that it had to feature in the highlights. What better way to celebrate 110 years of engineering excellence? 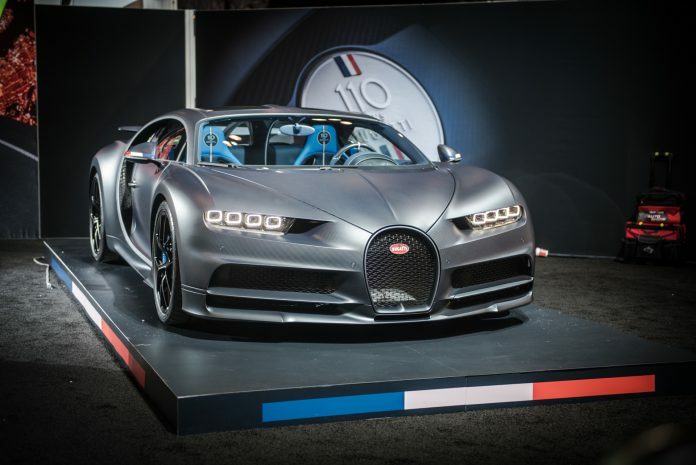 The Bugatti Chiron Sport “110 ans Bugatti” is a special edition of the Chiron Sport limited to 20 cars. 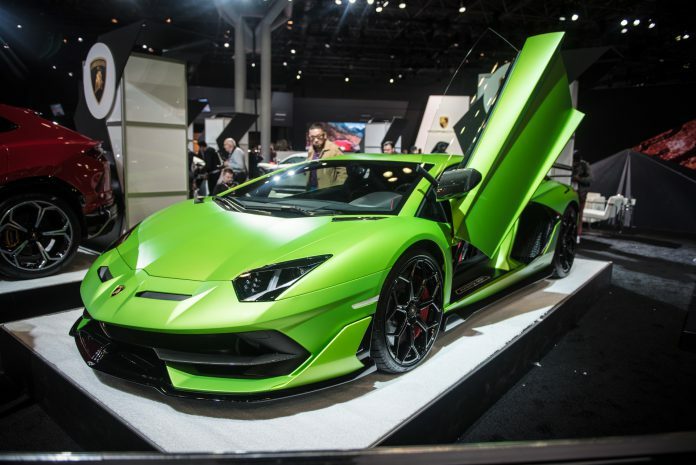 Lamborghini will build 900 SVJs and few will be brighter than the car at the NYIAS 2019 stand. Each will come fitted with a 770 hp naturally aspirated V12 engine producing 720 Nm of torque. Dry weight is reduced to 1,525 kg which will allow a 100 km/h sprint in 2.8 seconds and a 200 km/h sprint in just 8.6 seconds. Top speed is comfortably above 350 km/h. 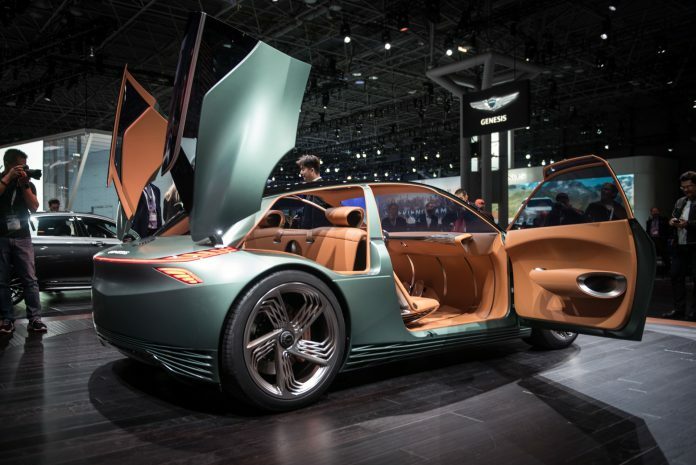 No motor show would be complete without an outlandish concept car and The Genesis Mint Concept stole that crown at NYIAS 2019. The luxury city car concept is electric, obviously. The rear doors that allow access to the rear storage deck are probably the stand out feature, but the overall design is very cool indeed. 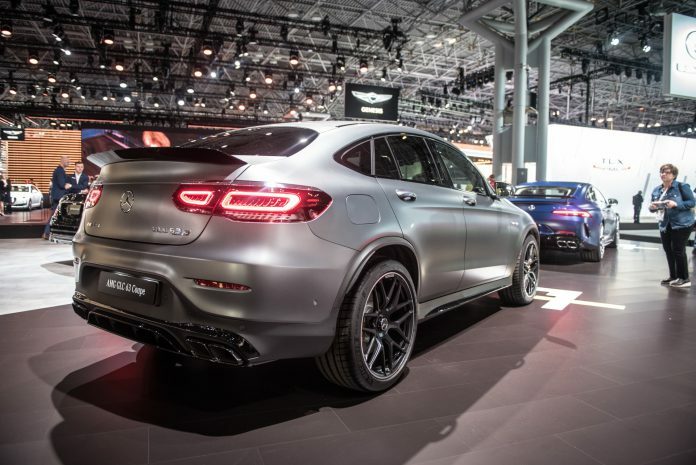 At a show brimming with electric cars and a look to the future, it was great to see Merecdes-AMG presenting a good old fashioned V8 fossil fuel muncher – the facelift on the GLC and GLC Coupe is modest, the lights being the most significant visual cue. 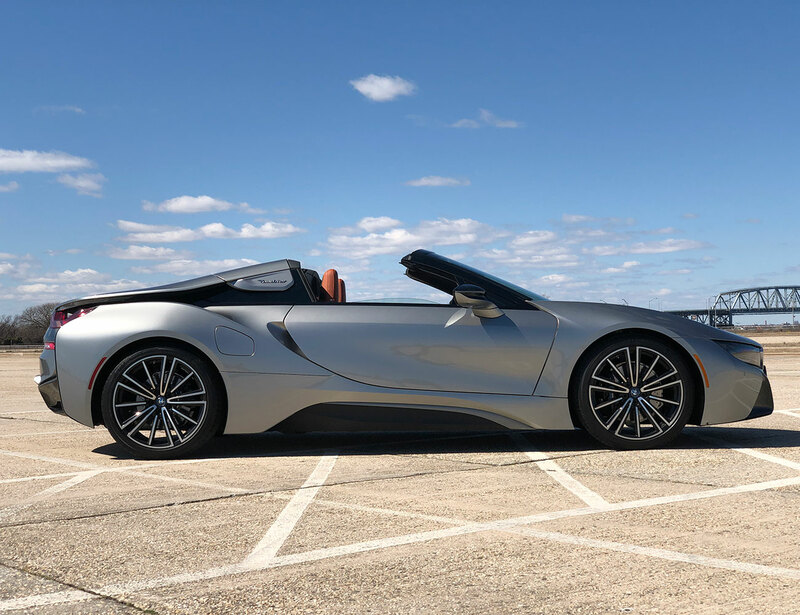 The BMW i8 Roadster is, in one sense, the Bavarian Motor Works‘s halo car—a range-topping two-door with a lofty price tag that represents where the company is headed. On the other hand, it’s a middling compromise, neither as fast (or fun to drive) as its similarly-priced competitors nor as efficient as many other modern-day vehicles boasting wheel-powering battery packs and electrical ports. The Good: It’s hard to argue with a sports car that can accelerate from 0 to 60 miles per hour in four seconds and get the combined equivalent of 69 miles per gallon between its gas engine and battery pack. 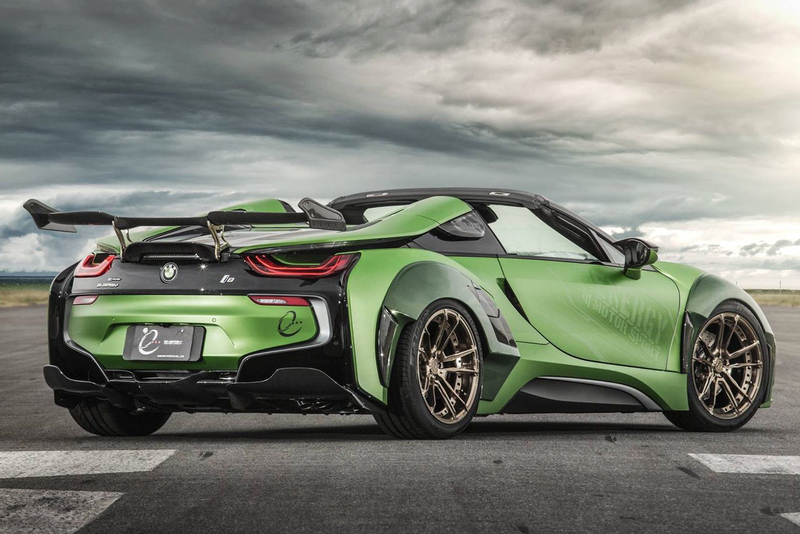 Still harder when it looks as wild as the i8 does, with its gullwing doors and aquatic predator lines. Who It’s For: People whose primary reasons for buying a six-figure sports car are more along the lines of showing off on the streets and drawing stares than shooting for lap times or carving up rural B-roads. In other words, probably the majority of people who buy six-figure sports cars. Watch Out For: Climbing in and out, which is pretty much impossible to do with any decorum. Also, mockery from anyone owning a newer luxury car in the same price bracket; the i8’s interior would look cheap in a car half the price to the discerning eye. Alternatives: The all-new 2020 Porsche 911 Carrera 4S Cabriolet ($133,400), the Mercedes-AMG GT C Roadster ($158,850), the Audi R8 Spyder ($182,100). Oh, and there’s the brilliant all-new Aston Martin Vantage ($149,995), if you’re not wedded to that convertible body style. Review: The problem with visions of the future is that they rarely come true—and they tend to date quickly when they don’t. 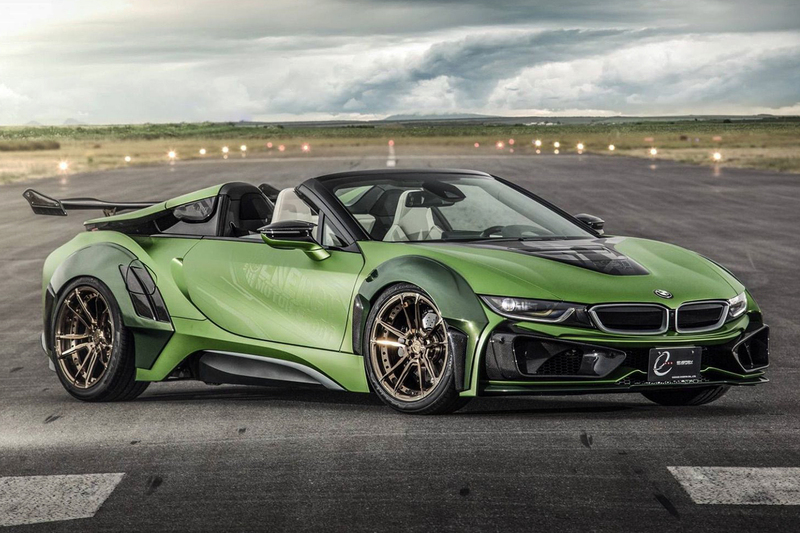 The i8 first reared its head a decade ago; granted, it was called the Vision EfficientDynamics then, but a glance at that concept car is all it takes to see that most of its style and substance made it to the streets. In those days, the idea of pairing a compact gas-powered engine to a plug-in battery pack was fresh and exciting; after all, General Motors had just unveiled the production version of the Chevrolet Volt, and Tesla was still three years away from flipping the automotive space on its head with the Model S. The i8’s idea of allying a turbocharged inline-three with a lithium-ion battery pack and electric motor to make a car that combined Porsche performance with econo-car efficiency felt like a window into a better tomorrow—one where even the threat of $7/gallon gas couldn’t suppress our sports car dreams. But in 2019, when fully electric vehicles have been embraced—by the zeitgeist, if not the mass market—the i8 feels like a throwback, not a look forward. It’s a feeling that’s exacerbated the moment you swing your legs over the awkward door sills and plop into the interior, which already feels dated. The all-digital instrument panel looks two sizes too small by today’s standards, with an unfortunate amount of black plastic bezel on each side of the screen. Same goes for the iDrive screen, though at least that now includes touchscreen capabilities—handy for operating Apple CarPlay, if nothing else. The wiper and blinker stalks feel old and cheap. And the radio presets allocated via iDrive, oddly enough, don’t correspond to the hard buttons next to the volume knob. It’s not all bad, though, The orange-leather-and-gray-cloth trim found in my tester add a distinctive touch; the color combination is a matter of personal taste, but the material pairing feels premium in a way that breaks it apart from the six-figure car pack. The seats are comfortable—far more accommodating than the hard-sided Recaros and their clones found in many similarly-priced sports cars whose owners want to hit the track (or at least make it seem like they do). The exterior, though, is how i8 sales are made. The car is still every bit as visually arresting as it was a decade ago, even now resembling a refugee from Minority Report or I, Robot—a shape too irrational to co-exist with ‘97 Honda Accords and late-model Chevy Silverados and busted-up panel vans. Low and slippery, it looks like a well-oiled shark as it cuts through traffic towards you. And unlike some hardtops that meet the Sawzall, the drop-top conversion does the look no harm; it’s still every bit as alien on the road, it just happens to now let others see the human hosts within. And the roof’s quick transition time means you won’t be caught with your top down often; it can flip from open to closed in 16 seconds—shorter than plenty of traffic lights. Going Roadster also alleviates some of the flaws of the coupe. It allows for near-silent top-down running, which is both delightful and rare; in fact, I’m pretty sure this the only convertible on sale today that lets you drive under electric power alone, allowing you to savor the rush of the wind and the smell of the air, undisturbed by clattering pistons or carcinogenic exhaust. It makes driving the i8 more about enjoying the experience of motoring as a whole, rather than just the kinetic thrills of carving through corners and blasting past speed limits. Which is good, because this Bimmer lacks the power to punch as hard as its competitors. 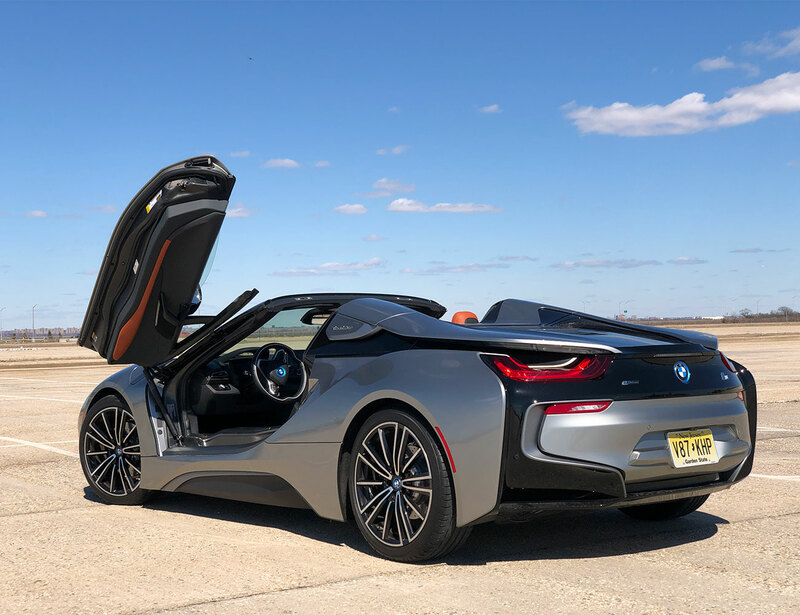 The i8 received the mildest of performance updates for 2018, but you’d be hard-pressed to tell the difference the added battery power (capacity rose from 7.1 to 11.6 kilowatt-hours, and the electric motor went from 129 hp to 141) brings to the table. The maximum system output of 369 horses is hardly the sort of fact worth whipping out at the bar in an era when Dodge sells four cars making more than that for around $40,000 or less. Still, the more I drove the i8 over the course of a week, the more it grew on me. It’s legit fast when you floor it, the electric motors and turbochargers joining forces for an immediate shove of torque off the line and speed alike. Thanks to that rifle-blast kick of instant power, it feels faster than even its 4.1-second 0-60 time would lead you to believe. Three cylinders and a turbocharger aren’t what most motorheads would consider the orchestra needed for a melodious internal combustion soundtrack, but the i8’s gas-burner doesn’t offend the ears once you’re really pushing it in Sport mode—aided, somewhat cheaply, by subtle synthetic enhancement that plays through the speakers. At lower speeds and rpm, though, it’s a bit clattery, hardly the sort of purring soundtrack. Leave the car in the default Comfort mode or toggle up Eco Pro, and you won’t have to deal with that; unlike Sport, which leaves the engine on all the time, those fuel-sipping modes kill it at every opportunity around town, using the front axle-powering electric motor to hum from A to B. They’re not completely silent, but the only time you’ll hear their high-pitched whine is with the stereo off and the roof shut at low speeds—and even then, it’s hardly annoying. Still, electric driving comes with its quirks. 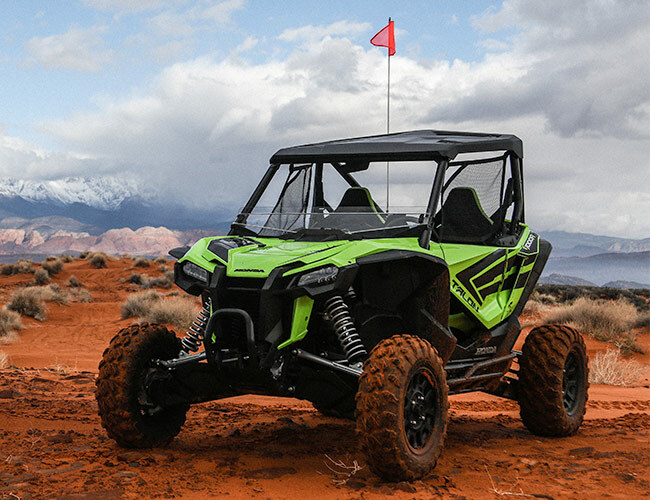 While the motor can carry you at speeds of up to 75 mph, getting the most out of that requires some very delicate feet. The accelerator tricky to modulate in maximum-efficiency Eco Pro mode; it’s resistant to input at first, leaving the i8 falling behind traffic when pulling away from a light, but push too hard and the gas engine clatters to life unnecessarily. Likewise, the brakes’ battery-recharging capabilities are difficult to master; there’s a bit of lift-off recapturing—about 25 percent of the full ability, according to the gauge—but even the slightest tap on the brake pedal pushes it way beyond that into the friction braking zone. But if the electric motor is handy, the battery pack that feeds it may be its worst characteristic. That 11.6 kWh of electron capacity only delivers a claimed 18 miles of zero-emissions range; based on my time with the car, that estimate ought to come with an asterisked caveat along the lines of: *with a sole occupant and no cargo, on a perfectly flat surface, at a speed of 40 miles per hour, when the external temperature is between 68 and 72 degrees Fahrenheit, when driving towards the moon at high tide. 15 miles seems more realistic in real-world conditions. Even if the full 18 miles were easily attainable, though, it’s just not very much for practical purposes—only enough to cover the average American driver’s 16-mile commute if he or she can recharge at the office. Which brings me to one grand ol’ your-mileage-may-vary caveat: I spent my week with the i8 in New York City, which is arguably one of the worst places to live with a plug-in car. To use them most effectively, plug-in hybrids and EVs require a garage at home or a parking spot at work with a dedicated outlet—somewhere you can reliably depend on leaving the car for several hours so it can charge while you’re away. Which is exactly the sort of thing most New Yorkers lack. Those who commute via private vehicle can rarely depend on having the same place to park every day, while most of those who own cars but commute via mass transit leave them parked —where EV charging ports are few and far between. Tesla, at least, offers a fair number of Superchargers scattered around the Tri-State area—and besides, they have enough battery capacity to make once-a-week charging a possibility. The i8, however, doesn’t offer such luxuries, forcing New Yorkers to cobble sketchy extension cord chains out their apartment windows if they want to charge up at home. And even then, it’ll take a long time to add power: Seven hours suckling on a 110-volt wall outlet yielded between six and seven miles of EV range. In an ironic twist, the fastest way to add electric driving range seems to be to drive it hard with the gas engine running; five miles of stop-and-go between 0 and 45 mph—about 20 minutes of driving—loaded the battery up with five additional miles of electric-only driving range. Still, even under less-than-ideal conditions, the i8 proved itself fairly efficient. My average fuel economy sat right around 25 miles per gallon over 100 miles of mostly city driving, which favors electric motivation. Plugging it into the wall socket in every day and gaining even those six miles of battery power from a free source would have probably sent that up a bit. Considering any comparable Mercedes-AMG GT would be lucky to hit its EPA-rated 16 miles per gallon over the same stretch. Still, there’s a specific space out there for the i8 Roadster. If you can reliably plug in your car for a few hours each day, and if you’re more concerned with the lifestyle aspects of sports car ownership than driving engagement, the i8 will treat you well. Otherwise, though, there are better choices for the money. 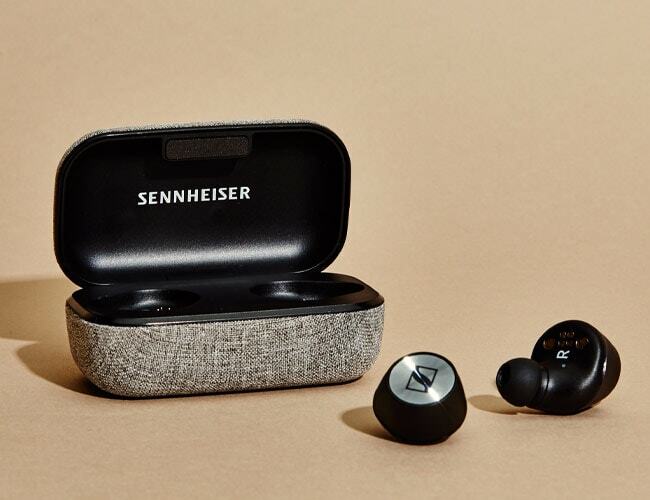 BMW provided this product for review. The BMW i8 is yet another testament to the German automaker’s innovative push for modernity. Not only is it one of the company’s most iconic hybrid sports cars, it’s also a template for the future of automotive design. But EVE.RYN just took it even further with its own BMW i8 E.N. Army Edition. The Japan-based tuner has decided to remove the sporty platform’s aging aesthetics and replaced it much newer-looking parts. The revamp is a stunning example of what a car could look like given some slight tune-ups. That’s no shade to the BMW i8, by the way. In fact, it’s a testament to the versatility of the core vehicle that it can lend easily to modern upgrades. The BMW i8 E.N. ARMY Edition revises the electric hybrid sports car mold. Among the changes the Japanese tuner brought include a custom front bumper, carbon fiber intakes, and gold wheels. You also get flared wheel arches and modified rear buttresses. The result is a distinct vehicle oozing with personality. A matte-green coating rounds the whole thing out, while E.N. ARMY branding on the vehicle’s rear visors serve a subtly stylish edge. 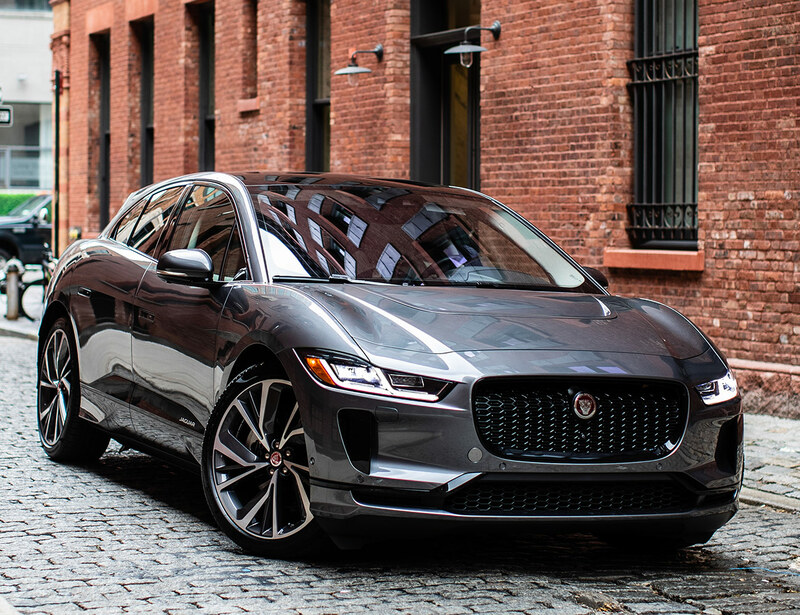 In terms of performance, you won’t be disappointed. EVE.RYN decided to leave the powertrain be, which is good since it was pretty excellent to begin with. You get 369 ponies, for starters, and that’s just the beginning. You’ll also find a bespoke carbon fiber diffuser and rear wing for aerodynamic design improvements. It’s a staggering achievement, and you can learn more by hitting the link below. 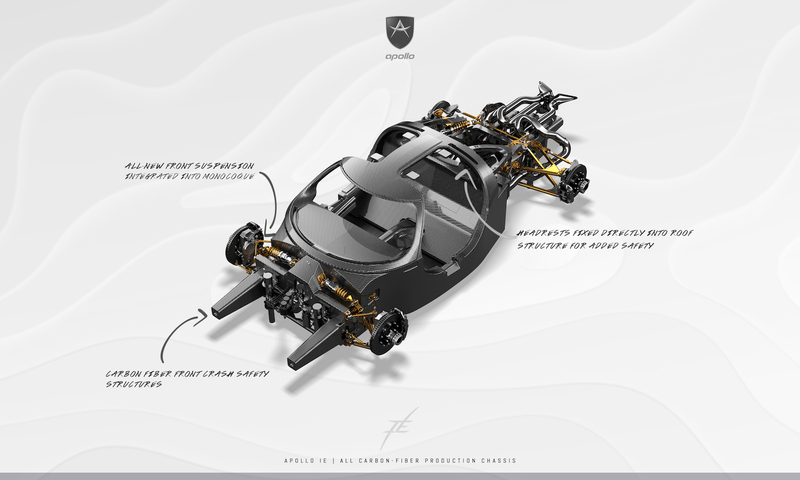 The Apollo IE hypercar is one of those cars that came out as a prototype a couple of years ago and then pretty much disappeared. Well, now it’s back and ready for production. According to a recent press release, the car is better than ever, too. 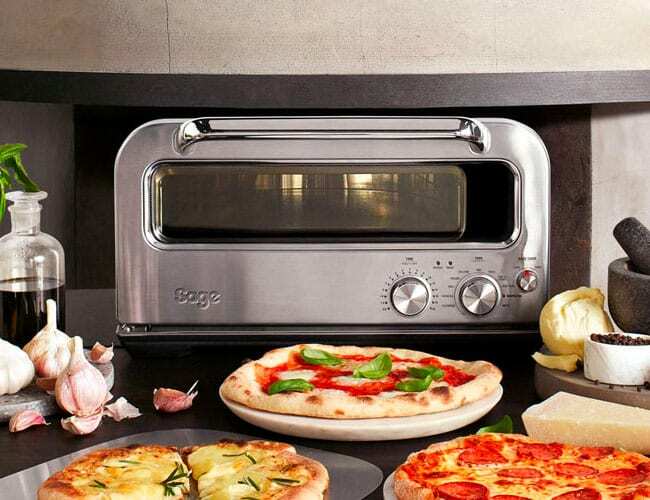 The model features a full carbon fiber chassis that’s different than ever before. 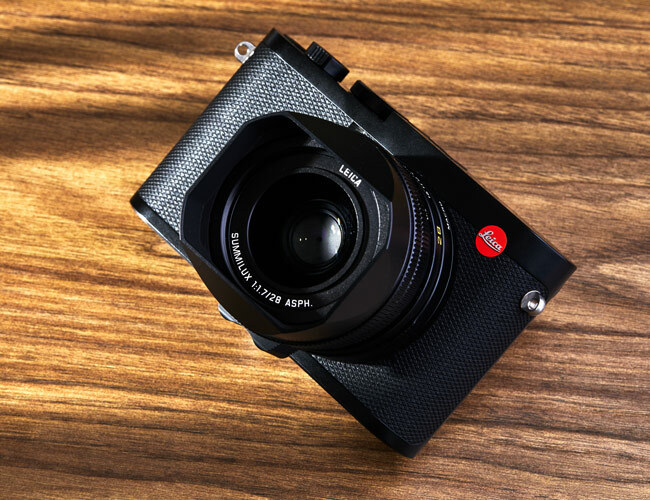 The company worked with HWA AG to make the handmade carbon fiber chassis. According to the company, the chassis is built to “meet and to partly exceed respective FIA LMP2 safety requirements.” This could mean that the vehicle will have a shot at competing in the 24 Hours of Le Mans. Because of the way the carbon fiber chassis is built, the car doesn’t need to have a roll cage installed. This will help keep weight down and should help make it extremely stiff for track use. The car also takes a step away from the prototype in the aerodynamics department. The production model is much more aerodynamic. This should allow the car’s massive, naturally aspirated 6.3-liter V12 engine, which makes 780 horsepower and 560 lb-ft of torque and is mated to a six-speed sequential gearbox, move the car through the air efficiently. 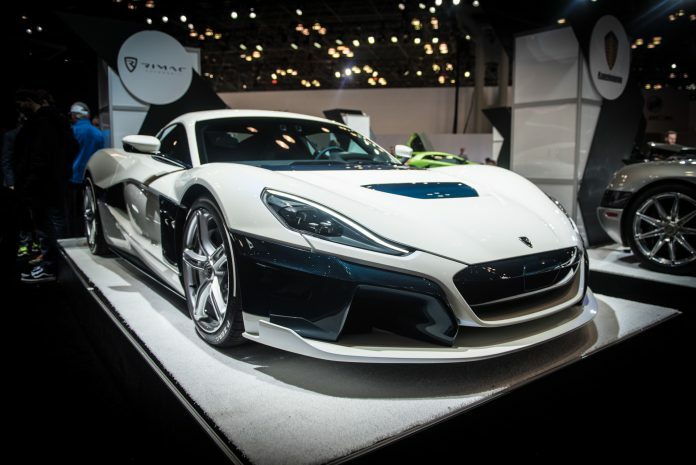 The car is capable of a 0 to 60 mph time of just 2.7 seconds and a top speed of 207 mph. Those sound like some Le Mans competing performance numbers to us. We’d love to see the Apollo IE hypercar at the race. Only 10 of the cars will be produced and each one will cost $2.71 million. We reported on the fact that Porsche was going to pull the cover off the 911 Speedster at the New York Auto Show, and now it’s happened. The car looks better than we expected. The car isn’t just all about looks, though. It has the same 4.0-liter flat-six engine that makes 502 hp and 346 lb-ft of torque that’s in the 911 GT3. It also uses individual throttle bodies like the GT3 RS racing car. The Porsche 911 Speedster can make 0 to 60 mph in 3.8 seconds and it has a top speed of 192 mph. The car weighs just 3,230 pounds and has a special rear axle steering and dynamic engine mounts. The car will be for sale only with a six-speed manual transmission. Porsche made significant efforts to lighten the car. The company used plenty of carbon fiber and lighter weight door panels to keep the weight as low as possible. The Speedster features a super lightweight fabric top so you can get out of the weather if things turn bad while you’re out driving around. 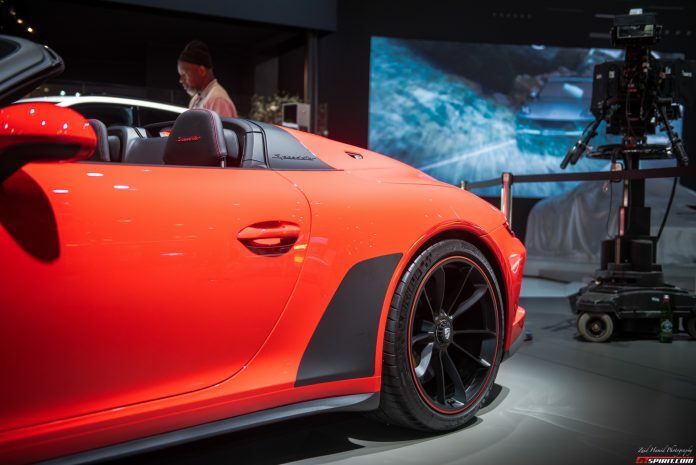 Porsche came out with a Speedster concept last year. While the production model looks great, it doesn’t have some of the retro-inspired features of that concept car. Still, we’d argue it’s one of the best-looking cars in the Porsche lineup. Porsche only plans to build 1,948 units worldwide. Some of the models built will come to North America. If you want a chance at owning one of these super sleek convertibles, you’ll really have to pony up the big bucks. Porsche wants $275,750 (that’s including the destination fee of $1,250) for each 911 Speedster. If you do get the car Porsche has a special watch called the Porsche Design 911 Speedster Chronograph to go along. It’s inspired by the car and will look perfect on your wrist as you drive. While most of the world watched Subaru dominate the World Rally Championship in the mid-’90s while simultaneously enjoying the fruits of those labors in the form of the race-bred road-going Subaru WRX STI, those of us the United States were left wanting. But in 1998, to test the waters, Subaru gave us the Impreza 2.5RS—and the success of that car is the reason Subaru finally brought the WRX to our shores in 2001. The two-door Impreza 2.5RS, like the one above, is somewhat of the last of its kind, in that Subaru stopped making coupe versions of the now-legendary performance sedan in 2000. Considering it also “first high-performance Subaru Impreza in the US” status, and the 2.5RS seen here might be a collector car someday. The interior and exterior are in decent condition, except for a bit of corrosion on the undercarriage and in the engine bay—but for a car that spent its life in the Salt Belt and is showing 88,654 miles on the odometer, it’s par for the course. And the relative lack of aftermarket parts make this Impreza a bit of a rarity, as a lot of ’90s Japanese performance cars were modified to hell and back; this Subaru’s owner only added Borla headers and a cat-back exhaust to help the flat-four engine breathe a little better. As of this writing, this 2000 Subaru Impreza 2.5RS is currently listed at $3,100 with two days left on the auction block, but don’t count on it staying that low; other examples of the 2.5RS from the same year with more than double the miles are selling elsewhere for a little over $10,000. Is owning a unique slice of Subaru history worth that kind of money? If you’ve ever driven one, the answer is an obvious yes. General Motors has never been the sort of carmaker to let a good name lie dormant. So when it came time to roll out a new compact Chevy crossover designed to appeal to those who want a hefty helping of style with their all-road utility, the automaker reached into its bin of badges and pulled out one sure to be familiar to any gearheads who remember the early Aughts. Without further ado: Meet the new 2020 Chevrolet Trailblazer. GM yanked the cover off the new Trailblazer on Tuesday at Auto Shanghai, the Chinese auto show that, as that country’s new car marketplace has exploded, has grown into one of the world’s most notable automotive industry events. 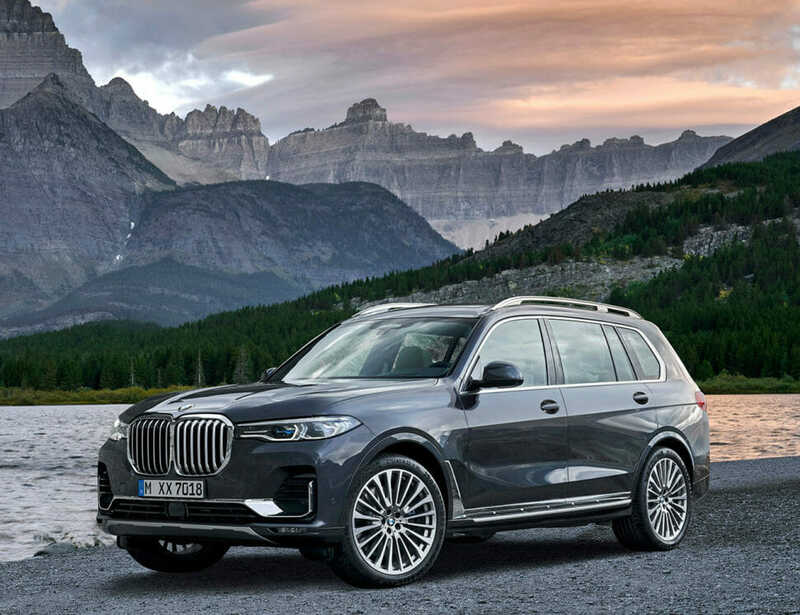 As one might expect based on the name, the new crossover bears a striking resemblance to the 2019 Chevy Blazer that went on sale earlier this year, with aggressive lines and a Clint Eastwood squint. It’s a bit smaller than the new Camaro-inspired crossover now gracing showrooms—which, if anything, makes the angular face seem a little more proportionate than it does on the Blazer; the top set of lights don’t seem quite as thin, and the large trapezoidal headlights below them seem more appropriately-sized to the car’s front end than the Blazer’s tiny round lights. The sweeping lines of the flanks lead back from that broad face to a subtle-yet-pronounced set of hips above the rear axle, while above that, a darkened design element like an inverted version of the one seen on the Bolt EV takes some of the visual weight out of the heavy C-pillar. The Trailblazer seen here comes in Redline trim, which brings with it black accents and red details, such as the hash marks on the wheels, the razor-thin lines on the mirrors, and the red nibs on the front fascia. Combined with the 17-inch black rims and the dark body cladding around the wheel arches, the whole look gives the vehicle a general impression of sportiness and casual off-road capability—one that certainly makes it pop amongst the fleets of generic compact crossovers out there, such as the Honda CR-V and Nissan Rogue. How sporty it will actually feel from behind the wheel remains to be seen. Chevy’s announcement made no mention of powerplant, but given the vehicle’s size and the current GM powertrain options, a turbocharged inline-four like the 1.5-liter, 160-horsepower unit or the 2.0-liter, 250-hp one found in the Malibu seems probable—at least, for the US market. We may have to wait to find out more about that, as it doesn’t seem like we’ll be able to buy the new Chevy Trailblazer in the United States for a little while; GM’s press release made no mention of Stateside sales. The authorities over at GM Authority say the 2020 Trailblazer will eventually go on to replace the ancient and little-loved Chevy Trax here in the US. Hey, Chevy: For what it’s worth, we’d say it’s worth fast-tracking this thing for America. According to Lotus, the Type 130 will spawn a production version, which will be the brand’s first all-new vehicle in 11 years. It will be partially bankrolled by Lotus’ parent company, the Chinese carmaker Geely, which also owns Volvo. 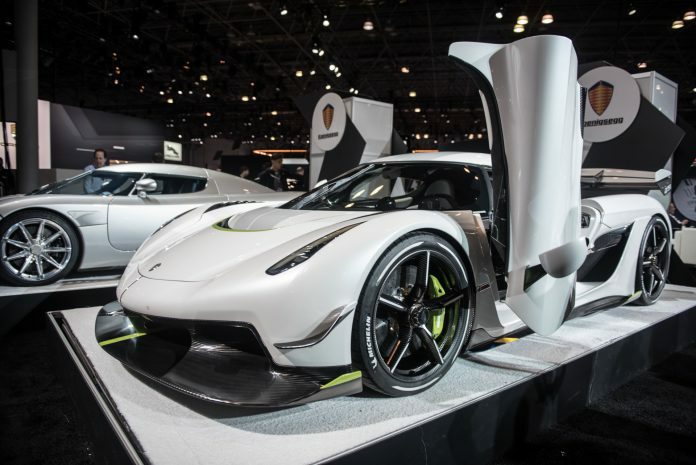 Despite that, the hypercar will not be built in China, but in England. An earlier Autocar article estimated the eventual price at around $2.6 million. Last month, news broke that Lotus is also bringing another new car to market, but that one is likely to retain internal combustion technology along with engineering ties to older Lotus architecture, as it forms a sort of “bridge” between current Lotus products and its future cars. 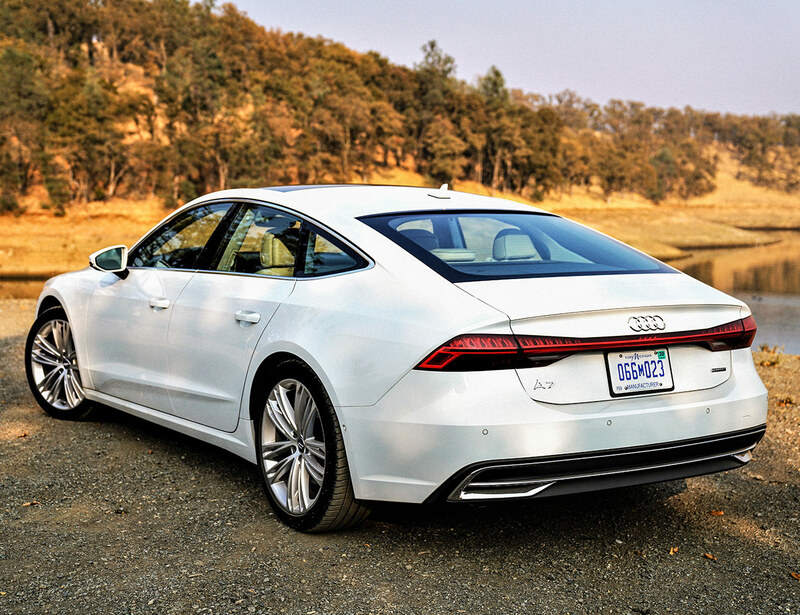 Hence, it can’t be called “all-new” in the same sense as a fully electric halo model can. Lotus also noted some of its “firsts” when informing the media of the upcoming concept, which it calls “the world’s first full-electric British hypercar.” The 1995 Elise was the world’s first aluminum and bonded extrusion construction production car, while the 1957 Elite was a production first in the sense that it first brought the composite monocoque within the reach of customers. Between those, there was a lot of groundbreaking F1 knowhow: ground effects for the ’77 Type 78 F1 car, carbon fiber for the ’81 Type 88, and active suspension in 1983. Are you looking for an ultra-rare supercar that has some history to it? Do you love BMWs? Then we have the perfect suggestion. Buy this unique BMW M1 Prototype. The car broke the 186 mph (300 km/h) speed barrier in the 1980s and is a piece of automotive history. The historic moment happened at a BP Autogas event in 1981. Italdesign was the company that crafted the M1’s now iconic shape. However, this particular prototype has plenty of custom body panels on it. The car has huge air scoops and a big wing on the back, making it one of the coolest M1’s we’ve seen. According to Carscoops, the vehicle’s 3.5-liter six-cylinder engine got two turbochargers that boosted its horsepower all the way up to 401. Coy Auction is the auction house that will handle the sale. The auction house told Carscoops the car was stored in a garage for around 25 years. Many people thought it had been lost to history. Eventually, someone found it in a garage in East London. It’s a super rare car in part because BMW only made around 450 of the M1, to begin with. This unique car is a one-of-a-kind item, and it will come with a price that reflects that. Pre-auction estimates have come in at about $327,000. 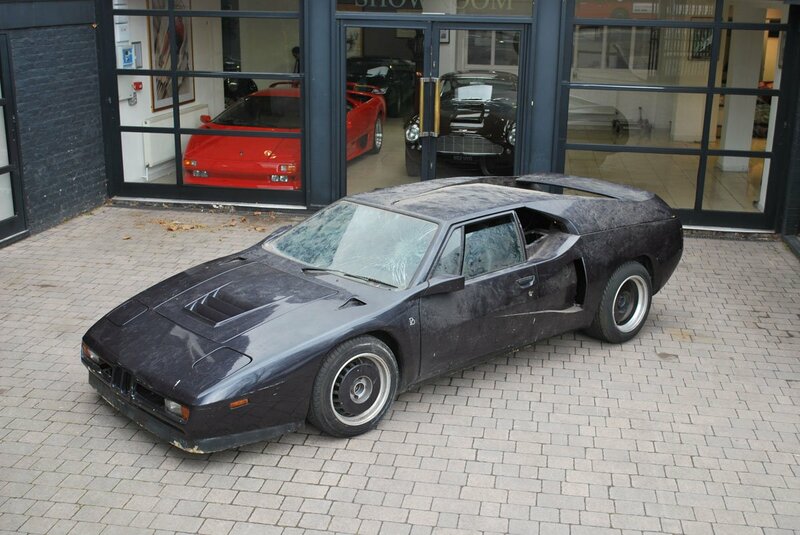 That’s quite a lot of money for a barn find, but then this is a super unique car. While most of the news out there is about electric supercars and hypercars, the Karma 2020 Revero GT is one that’s a hybrid that should get people pretty excited. The car is made by the Chinese-backed Karma, which used to be Fisker Karma. The company revealed its new Revero GT at the Shanghai Auto Show. The Revero GT is based on the previous car from Karma, but it features new bodywork, new technology, and much-improved performance. The car gets an all-new powertrain that the company developed with the help of an engine sourced from BMW. The Twin-Power 3-cylinder engine. The engine is the same as the one found in the BMW i8 plug-in hybrid. The company added to the powertrain upgraded batteries and more powerful electric motors. Altogether the vehicle makes 535 hp and can go for 80 miles on battery power alone before the gasoline engine kicks in to extend the range. The car can make a 0 to 60 mph sprint in just 4.5 seconds and has an electronically limited speed of 125 mph. 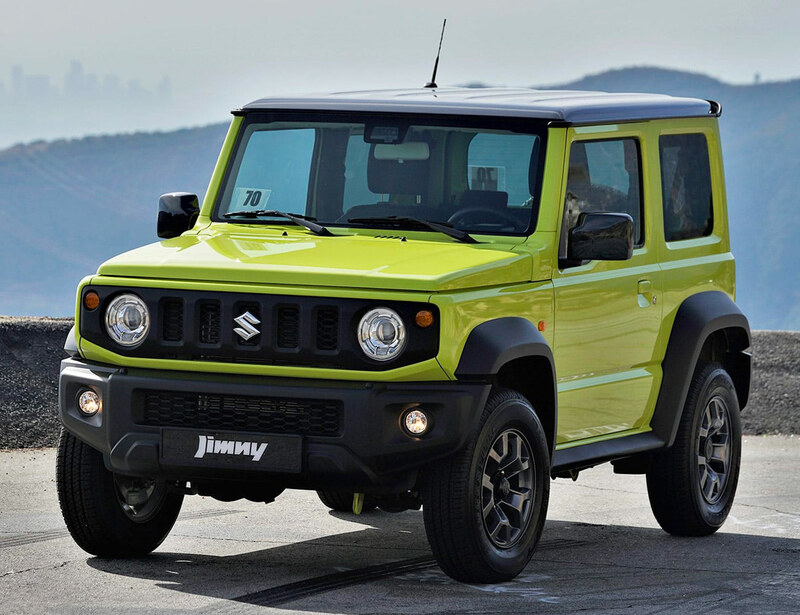 Overall, it’s a major step forward for the brand and a serious competitor to the other vehicles out there. The company also showcased a special design from Pininfarina and a concept vehicle at the show. The concept is meant to showcase that the company will eventually transition its vehicles to fully electric powertrains. Audi nipped and tucked the skin of the 2020 TT RS while maintaining the fundamentals. That means the 2.5-liter turbocharged five-cylinder with 394 horsepower and 354 pound-feet of torque holds steady. The price, however, doesn’t. The damage comes to starting price $66,900 plus $995 for destination, totaling $67,895. That’s $2,020 more than the previous generation for finer lines and more colors. The standard 2020 R8 V10 coupe starts at $169,900 before the $1,250 destination fee and the $1,300 gas guzzler charge. Those two line items bring the total to $172,450, whereas the Spyder goes for $184,650 after tallying everything up. 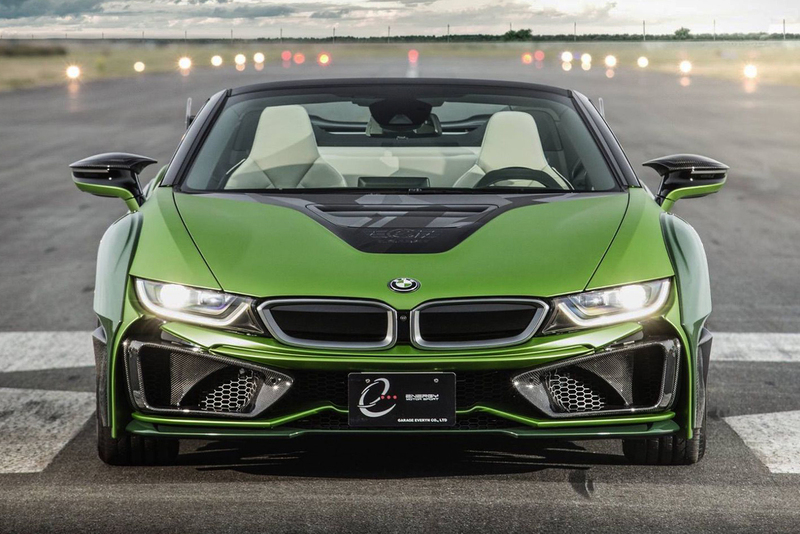 Those models put out 562 hp and 406 lb-ft, increases of 30 hp and 7 lb-ft. They’re rated to go at least 200 miles per hour: 201 mph for the coupe, 200 for the Spyder. Both MSRPs represent a $5,000 increase over the 2018 model. The R8 V10 Performance, which changed its name from R8 V10 Plus, doesn’t add any more puissance, staying on 602 hp and 413 lb-ft. They open the bidding at $198,450 for the coupe and $210,650 for the Spyder. As the two additional members in the lineup’s 200-mph club, the coupe will do 205 mph, the Spyder 204 mph. The new Performance coupe price has gone up by $1,500, but the Performance Spyder is the same price as the 2018 model. The TT RS and R8 series production models are due in showrooms in spring. Before then, we’ll see them at next week’s New York Auto Show. If you’re looking at this car and thinking, “what the F?” or “why?” or “ruined!” or “money doesn’t buy taste,” then Alex Choi accomplished what he set out to do with this build. Being different brings out the negativity in people who don’t understand the desire to stand out, and that’s exactly what Choi wants: to be different. He calls it the Unicorn V3, and it’s now one of the wildest custom exotics in the saturated California car scene. As indicated by the V3 tag, this is the third major overhaul of Choi’s Lamborghini Huracan, but he’s made numerous alterations since he first took delivery of the car in June 1, 2017. Choi, who also has a widebodied winged BMW “M2-R,” first gave the car a pink and blue camo scheme. Then he added a ski box, a wing, a carbon hood, and took off the rear bumper. For the Gold Rush Rally, he unveiled V2 with a pink BAPE wrap. He then gave the car underglow and put the rear bumper back on. V3 is the crazy creature seen above. Choi first upgraded the engine with Sheepey Race twin-turbo power. RSR then added “monkey bars,” as Choi calls them, a hand-crafted chromoly and stainless steel cage that surrounds the entire car. This look was inspired by the Flip Car from Fast & Furious 6. Speed Tech Lights added the Group B-inspired round rally lights up front, and gave it a roof-mounted light bar straight from a cop car. The wheels were custom-made for Choi’s Lamborghini by Brixton Forged Wheels. They’re technically not new, but he changed the color from white to black. The Michelin PS4S tires also have white stickers that give a white wall impression when the car’s in motion. Enormous foot-long semi-truck cannon air filters on each side of the rear give it a very Star Wars-esque look, and on the driver’s side, there is a one-off air-to-air intercooler. The carbon fiber rear wing is also a carryover from V2, but it was raised a foot. Finally, Choi added a rear diffuser and flipped the rear taillights upside down to create an entirely different light signature. Choi says the car’s major changes are done with, but he plans numerous small tweaks in the near future. If you’re one of the people who likes the car (this author included), he does regular updates on his Youtube and Instagram pages.